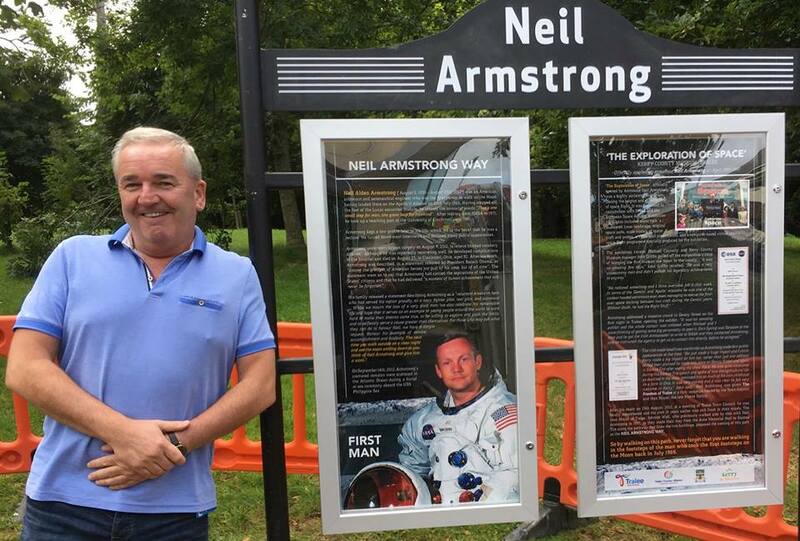 MANY people may not even know that the walkway in the Town Park close to Siamsa Tíre running to Princes Street is called Neil Armstrong Way but that’s about to change. 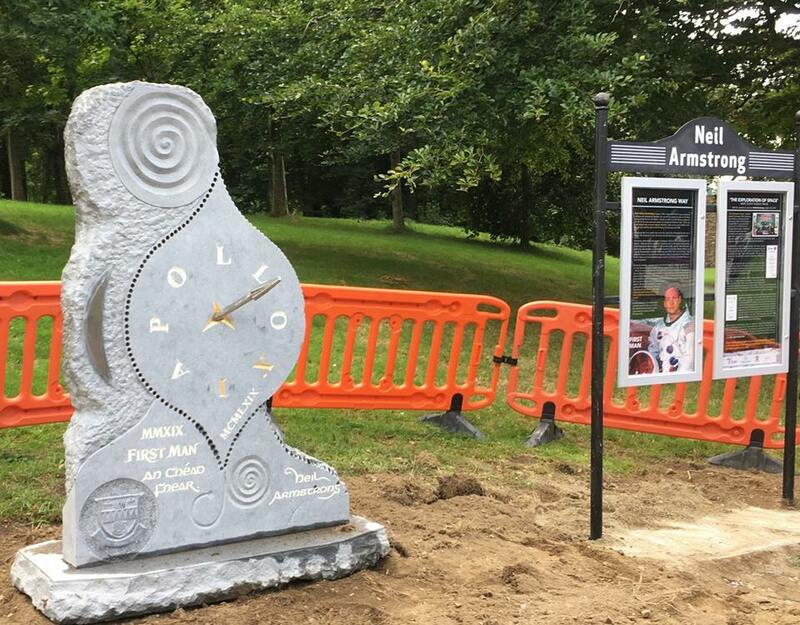 A stone monument has just been erected at the walkway with new information panels giving details about the first man to walk on the moon and his connection to Tralee. Neil Armstrong visited the town in 1997 and received a great welcome from the people of the Tralee. When Armstrong died in 2012, the then Chairman of Tralee Town Council, Johnnie Wall, proposed they name the walkway after him to remember that famous visit and his achievements. While there are signs and a plaque in the ground marking this, many people may not have noticed or know the story behind why he is being honoured in Tralee. In a collaboration between Tralee Chamber Alliance and Kerry County Council, a stone monument, made by Billy Leen, which previously stood in an area outside of Tralee, was moved to the walkway, with a few embellishments. 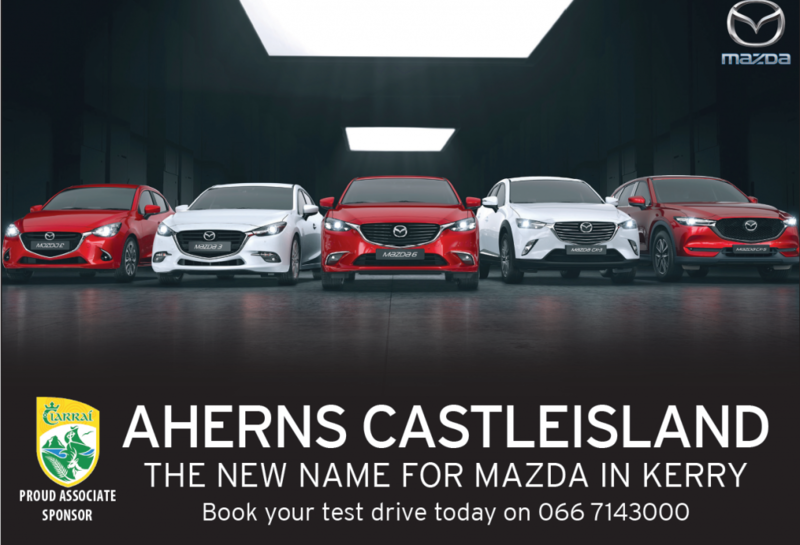 Kerry County Council’s Frank Hartnett, who has a great interest in the space race, was behind the idea and said it’s appropriate that the monument was moved there in time for the anniversary of Neil Armstrong’s death on August 25 and the 50th anniversary of the moon landing next July. It’s a great addition to the area and people can be in no doubt as to the name of the walkway and its origins from now on. 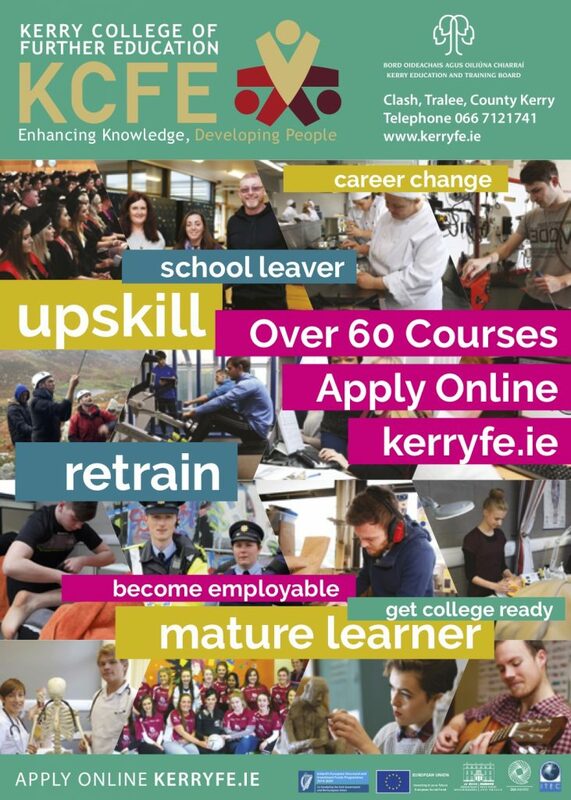 Well done Frank Hartnett for such a key and innovative role you are playing in the evolution of Tralee in recent years. The new look Tralee has your name written all over it, The Roses at the entrance to The Town Park, The Christie Hennessy memorials around town, The fabulous re-developed Mall, the two way Denny Street gives us back the grand look to our main street, and now this fabulous tribute to Neil Armstrong, what may be one small step for you in the course of your job Frank, is proving to be Giant leaps for Tralee. LOL, this stone monument screams impalement to me!